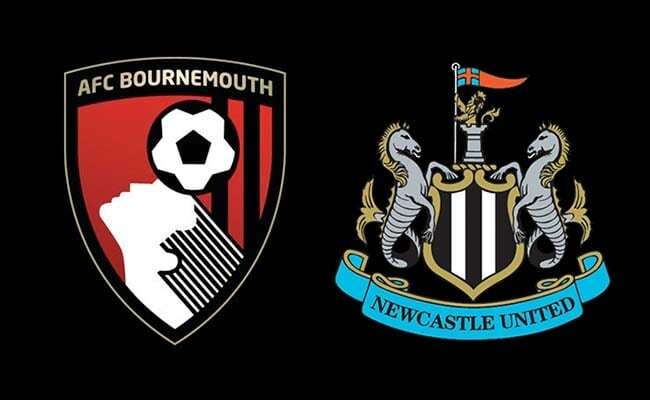 Bournemouth (A): Pre-match thoughts, team news & predicted line ups – NUFC blog – Newcastle United blog – NUFC Fixtures, News and Forum. We head into this one in a similar position to the West Ham away game two weeks ago, arriving on the back of another massive home win – only this time, we must learn from our mistakes. Last weekend’s win over Everton was incredible and perhaps the most electric evening of our season at St James’ Park, but it’s worth noting that results elsewhere meant we were just THREE points above the relegation zone before Ayoze’s late double. We were sloppy against the Hammers in our last appearance on the road – everything we haven’t been in recent months – and were punished for it, so the players must take Rafa’s advice, put thoughts of their summer holidays to one side and focus on the task in hand. 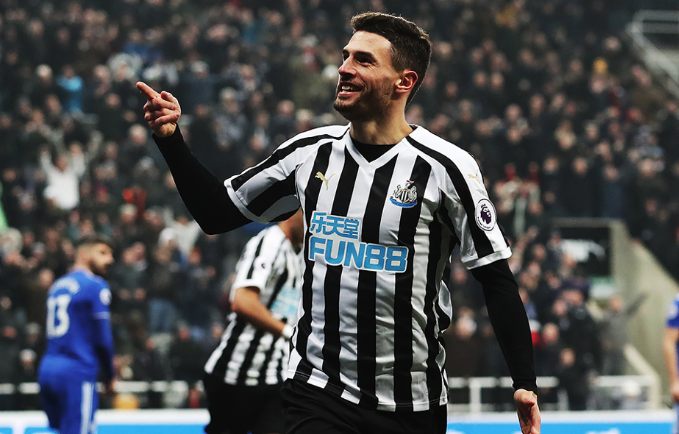 We’ll be without Lascelles and Schar, but I have plenty of faith in the likes of Fernandez and Dummett – two reliable players who’ve been unlucky to miss out in recent weeks. That says a lot about how our defence has improved under Rafa! 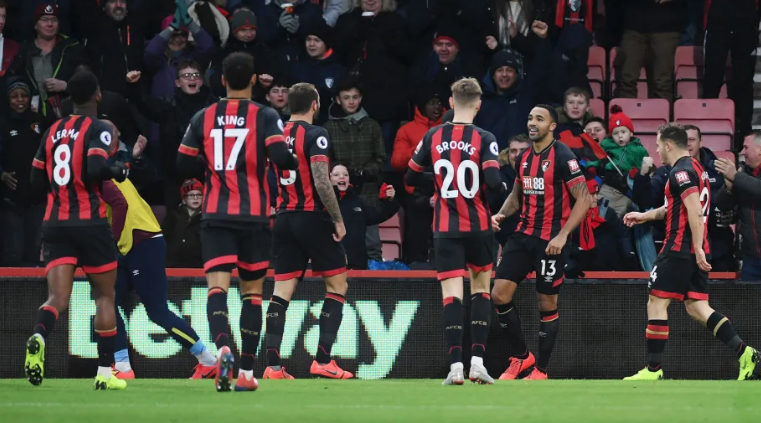 Win and we’ll leapfrog Bournemouth, seem all but safe and will have every reason to have one eye on a top 10 finish, but with Cardiff and Southampton pulling off surprise wins last weekend, we can’t believe we’re safe just yet. I expect Federico Fernandez to play and it would not surprise me if Rafa brought in Dummett at left-back, went back to a 4-2-3-1 and then paired the the Argentinian alongside Lejeune at centre-back – meaning Ritchie could be deployed further forward. I’d like to see Fernandez return – a player who was one of our top performers earlier in the season and someone who must feel hard done by after a recent drop down to the bench. Clark is also back, a player who’s done well when called upon, but I’d be very surprised if the side didn’t include Dummett – whether it be at the left-side of a three-man defence or at left-back in a flat back four. In midfield I’d be surprised if Ki played after his lacklustre display against Everton. Shelvey will be knocking on the door after changing the game against the Toffees, while big Mo needs starts and quickly if he’s going to get this one-year extension (something which will be triggered after THREE more starts by all accounts). Preferred NUFC XI – (3-4–2-1) – Dubravka– Lejeune, Fernandez, Dummett – Yedlin, Hayden, Shelvey, Ritchie – Perez, Almiron – Rondon. Ryan Fraser: He gets called the ‘Scottish Messi’ and without wanting to go over the top, I can sometimes see why. A diminutive winger who’s very quick, direct and has an eye for a pass or a goal – with an impressive 6 goals and 10 assists this season. Callum Wilson – A real handful and a player Rafa missed the boat on at Newcastle after being linked the summer we got promoted. He’s just return from injury and bagged a goal and an assist on his return in their much needed win at Huddersfield last weekend. Keep him and Fraser quiet and we could be in business. David Brooks – The 21-year-old was signed from Sheffield United over the summer, but he’s not taken long to look the part at this level. He’s got good movement and seems a very intelligent and composed player for his age and relative inexperience. 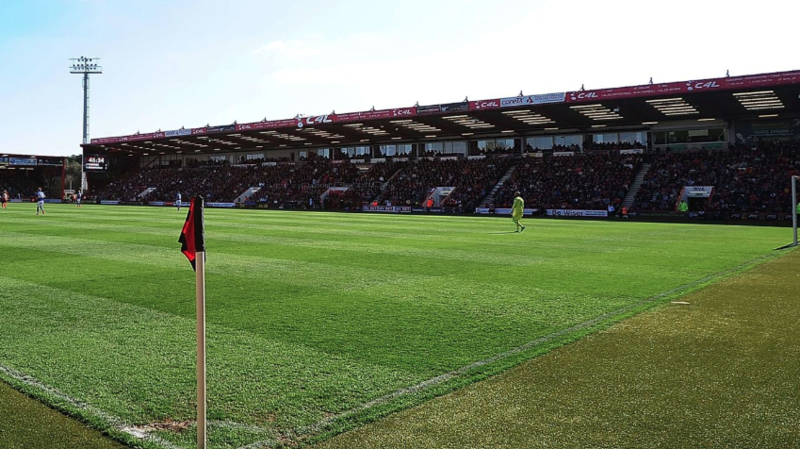 Predicted Bournemouth XI – (4-2-2-2) – Boruc – Clyne, Ake, Mepham, Daniels – Lerma, Surman – Brooks, Fraser – King, Wilson. Fabian Schar starts his two-match ban after receiving his 10th booking last weekend, Jamaal Lascelles has been ruled out with a minor knee and injury,Sean Longstaff is ruled out once again. Ciaran Clark is available after several weeks out and Federico Fernandez could be set for a recall, but Rob Elliot has been ruled out once again. Bournemouth’s right-back Adam Smith will miss out with a hamstring strain – so Liverpool loanee Nathaniel Clyne looks set to start. I think we’ll cause each other problems at both ends in this one, with Bournemouth being devastating and dynamic in attack on their day – but also being pretty suspect at the back. This one could end up like the West Ham away game did if we aren’t switched on, but you’d like to think they’ll heed Rafa’s warning this time and stay focused on the task in hand. Haven’t seen Paul Merson’s Giant Balloon Heed’s prediction yet. Is Charlie Nicholas standing in now and predicting 3-2 to B’mth because Sky have realized that it maybe wasn’t a good idea to have a gambling addict give gambling advice? I said on the last thread that having Merse make PL predictions was akin to putting a bottle of vodka on the breakfast table of an alcoholic every morning. I think this is gonna be a real tough game – I’m a big fan of their front 4. I’m sure Fraser is in the top 5 in Europe for assists – he and Brooks will run all day. Wilson and King are real goal threats and if it wasn’t for a series of nasty injuries, Wilson would defo be playing for one of the top 6 teams imo. I think 3 CBs and 2 wing backs is the way to go coz there will be times when they are dominating us, where the wing backs will need to tuck in. I think this is gonna be a real tough game – I’m a big fan of their front 4.I’m sure Fraser is in the top 5 in Europe for assists – he and Brooks will run all day.Wilson and King are real goal threats and if it wasn’t for a series of nasty injuries, Wilson would defo be playing for one of the top 6 teams imo. I think 3 CBs and 2 wing backs is the way to go coz there will be times when they are dominating us,where the wing backs will need to tuck in. Agree mate about 3 at the back and the fact it’ll be tougher than many think. It could be Ki not Shelvey with the latter coming on second half . Kim -I agree with your team selection but I think we’ll win 2-1. HTL! Seems to apply to most mid-table teams and the last 2 we played were different from half to half. Are Everton, West Ham, Leicester, Bmth, Watford filled with mercenaries? More so than other teams? They are all totally inconsistent but have some good players. I mean, you would have thought that West Ham team we played in the 1st half could beat Cardiff? Instead they gave them a lifeline. Georgio, i do hope your’e right mate. Feel sad for him that he is still struggling with his demons but there are plenty of ex pros out there who would do his job to a much better standard. Eric, West ham are so inconsistent, they were b loody awful v Cardiff only showing any threat very late on in the game. I think they thought they only had to turn up to win v Cardiff. Typical West Ham arrogance. Rafa is saying Hayden might change his mind. I was saying this the other day. His child seems to be OK now with only visits for checkups and he did try to move fulltime to Newcastle. His girlfriend joined him before her pregnancy issues. He’ll probably get offered a new contract and he is much more appreciated by the fans. He’s still young as well so maybe this is the real Hayden and not the one we saw as a 21 year old. And I think Brighton will be relegated next year. With or without Hayden. And I am glad Hayden is doing well now. It is good for the team. I am happy we have a choice and don’t really have an outright favourite. Maybe Longstaff because he is a Geordie. But we seem to have players that can perform different roles so Rafa can change the team mid-match. I have said it before but I do not get the Oasis/Blur or Ronaldo/Messi mentality. We should be happy that Rafa has choices now. I never understood people calling Andy Carroll Judas. It is his job and the move to Liverpool set him for life and was more down to the Fatman’s greed. I suppose I will never understand a lot of football fans. Only 2 away wins all season. 2 points from the last 18 away. The Chronic are liars by the way. Ryder did a Q and A yesterday and answered a question about him saying the Almiron deal was off. He linked an article from 5 days before the transfer window was closing showing that they had looked at both sides of the story and that Agent demands might scuttle any deal. What he didn’t link was the story that he, LEE RYDER. wrote saying the deal was dead about 6 hours before Almiron got on the plane to Newcastle. I have read The Chronic for more than 40 years and cannot remember their sports writers being so thin skinned that they have to defend (and lie) about what they say. Maybe it is social media. Most likely they employ dimwits now. The best thing about stories in the Chron these days is you don’t have to read them. Everything they’ve got to say is in the headline and sub head. Journalists? Don’t make me laugh. I didn’t see Diame and Hayden BOTH starting. Seems a bit defensive, but we do have options off the bench. Right, get ready for the Mike Dean show everyone. Red card at Burnley too for Leicesters Maguire, advantage Burnley then. So second week running an opo player should be red carded, just a yellow for Lerma for hacking down Perez !!! Dean obviously saving his red for one of ours. All thanks to Miggy’s run and being fouled by Ibe resulting in the free kick. great stuff in crap conditions. We’ve looked comfortable and deserve the lead. Although can someone explain to me how Mike Dean didn’t give a red card to the Bournemouth player? He’s on 99 red cards for his career. Is he waiting for a bigger game to give his 100th so it gets more coverage? Great goal from Rondon… superb free kick.. unbelievable how Lerma didn’t get a red. As clear a red as you like. Against any other team that’s a red… anyway, 1-0. Lets go for it … they are still a very dangerous team… we will need at least another goal. Stu it was a soft pen, but it’s Dean so……. Bournemouth getting on top a bit, need a change now really. The wind is ruining the game . Dummett having a good game. now he brings Shelvey, sorry Rafa but that’s 10 mins too late imo . MotM for me was Dummet. Played his socks off today and made that vital goal line clearance. Spot on , Dummett really good today, and Dean was poor, we should of had a pen and an indirect free kick near the end for Mephams backpass to the keeper. And defo a red for Lerma early doors. kimtoon: Spot on , Dummett really good today, and Dean was poor, we should of had a pen and an indirect free kick near the end for Mephams backpass to the keeper. And defo a red for Lerma early doors. Yup Kim, definite backpass there too… Dean was sh.ite today. Really shi.te. Good point in the end!